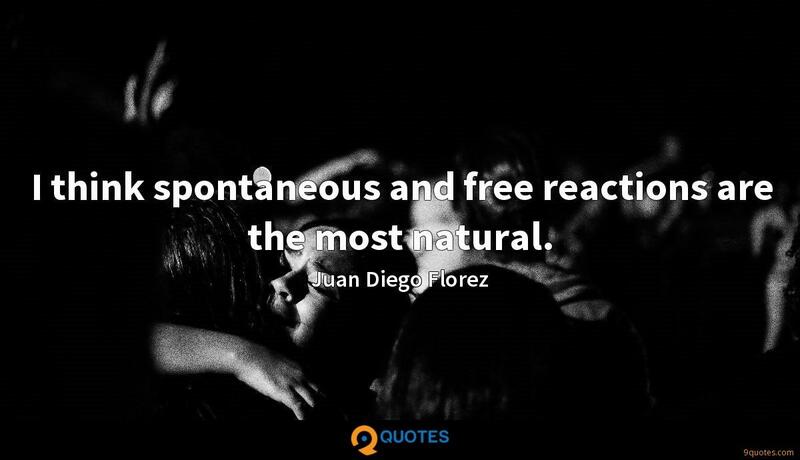 I think spontaneous and free reactions are the most natural. 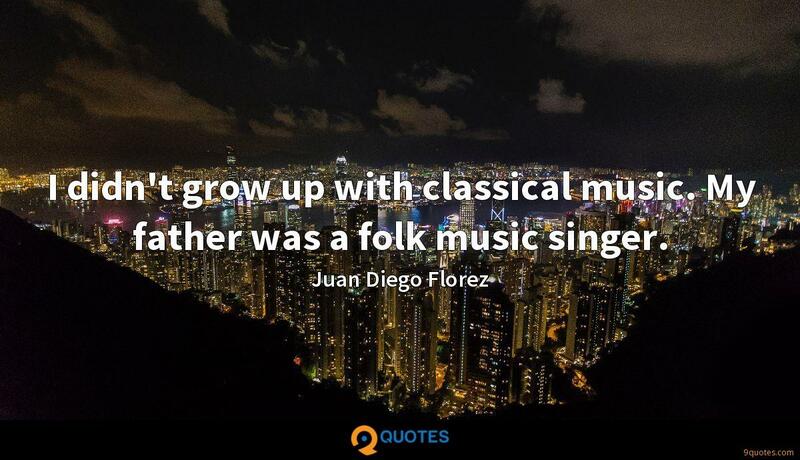 Juan Diego Florez Quotes. 9quotes.com, 2018. http://www.9quotes.com/quote/juan-diego-florez-493273, accessed 24 April, 2019. Life is precious, and when someone dies it's an opportunity to realise how precious it is. My brother drowned when I was 17. He was 15. I think I grew from that. My father didn't. It really crushed him. 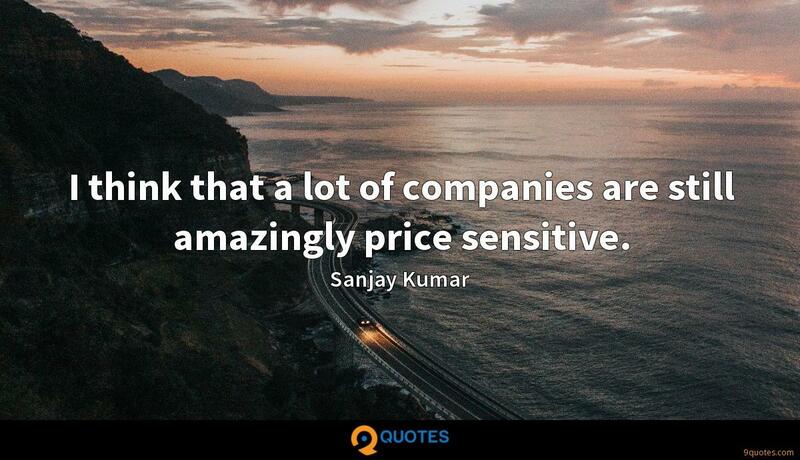 I think that a lot of companies are still amazingly price sensitive. I think all kids should have something they feels is theirs. 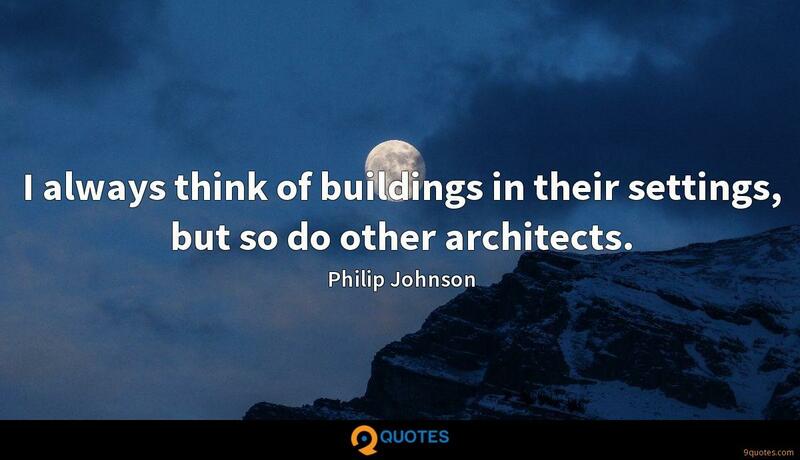 I always think of buildings in their settings, but so do other architects. I think in the '70s that there was a general feeling of chaos, a feeling that the idea of the '60s as 'ideal' was a misnomer. Nothing seemed ideal anymore. Everything seemed in-between. I didn't grow up with classical music. My father was a folk music singer. In Peru, there is no theatre that produces an annual opera season, and though there is one orchestra in Lima, it's always struggling to survive. We shouldn't have just one orchestra, we should have 15, we should have 50! And you should start to build this from the children. 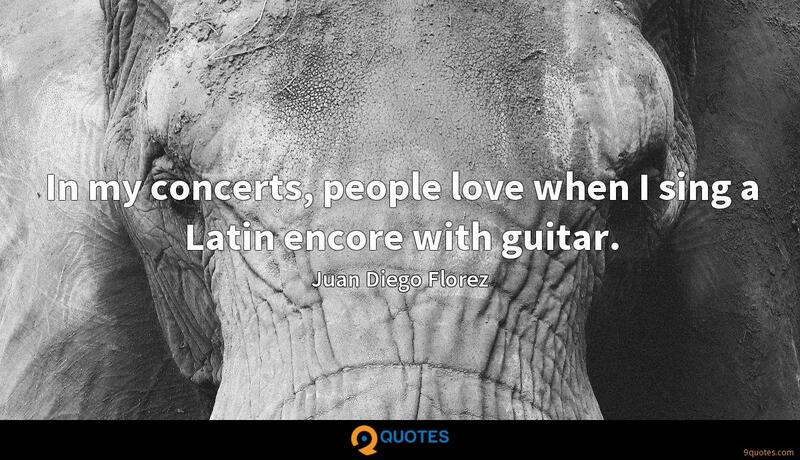 In my concerts, people love when I sing a Latin encore with guitar. My parents never really wanted me to be a musician at all, because in Peru you don't earn any money that way. But when they realised it was genuinely what I wanted to do, they supported me always. I have always been pretty flexible. I could always jump and do all kinds of dangerous movements. In opera, I like to do it because it's fun, as long as it fits the role.